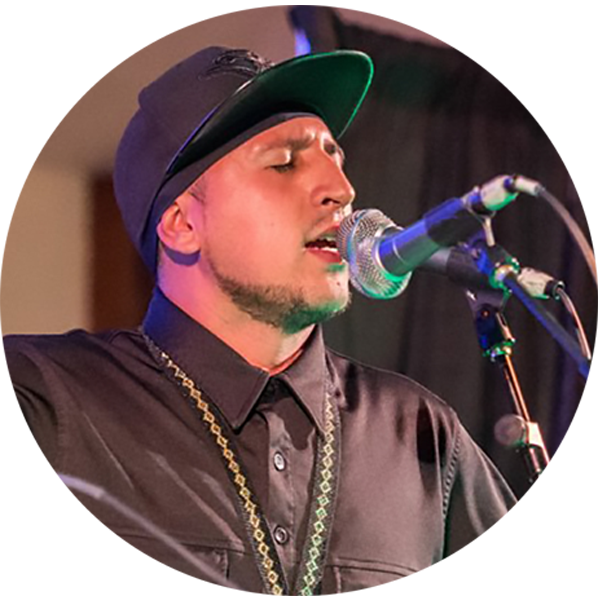 Born in Colombia – JUNO Awards Nominee – Ruben ‘Beny’ Esguerra is a multi-instrumentalist, lyricist, arts educator and community worker. As a musician, Ruben leads the New Tradition big band originally created to accompany international artists with some of the most sought-after musicians in Toronto, Canada. As a composer, he has written original scores for the CBC, City Life Film, Amnesty International and the National Film Board of Canada. As a lyricist and spoken word artist he has presented his pieces in festivals held in Canada; US; Cuba; Venezuela; Colombia and Chile. Highlights include being commissioned by the Remix Project and the Department of Canadian Heritage to create and perform a spoken word piece welcoming Canadian Governor General Michaëlle Jean to deliver the opening speech introducing the ‘Ignite the Americas’ conference. As an arts educator, Ruben has worked at York University and Ryerson University teaching, lecturing and designing curricula since the age of 22. Ruben currently facilitates workshops through the Ontario Arts Council’s Artist in Education Program bringing drumming and storytelling as a healthy form of self-expression to inner-city schools as well as schools in rural areas across Ontario. He is currently the Music Director of several programs based in Jane-Finch, Toronto. Ruben is a PhD (ABD) candidate in Musicology/Ethnomusicology specializing in traditional and urban music.